What are these ghostly figures? Since 2003, a remote salt lake near Wiluna, in Western Australia, has hosted a set of sculptures installed, as part of the Perth Arts Festival’s 5oth anniversary, by internationally renowned artist Antony (now Sir Antony) Gormley. based on the townsepople, the figures dot the crystal white sal lake and attract visitors from around the world, drawn to this remote part of the country to view and talk about art. 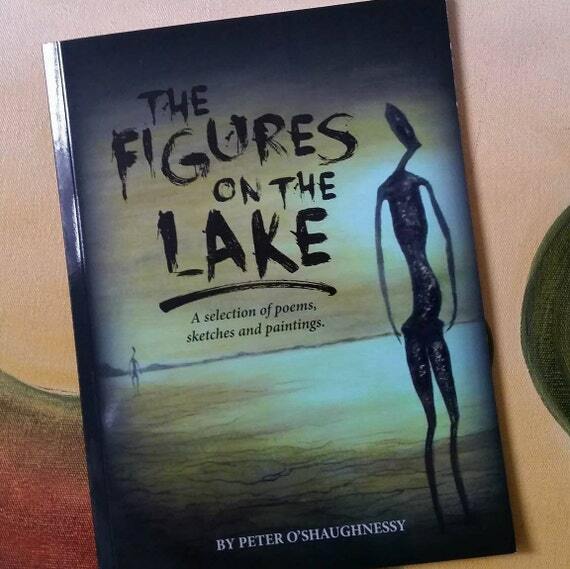 The Figures on the Lake a selection of poems, sketches and paintings recording and responding to the beauty of the figures. Artist and poet Peter O’Shaughnessy has visited the sculptures many times, and, following the success of an exhibitions of paintings interpreting the sculptures, was moved to produce a book honouring the sculptures and their story. The idea of a series of art and poetry inspired by another series of artworks is a wonderful one, and the book is a delight to browse. Proceeds from sales of the book help to support cancer charities. Available from the author, in Bunbury Western Australia, or through the Wilunatic Press Etsy Store. A hush descended on the atrium. It became evident that the young man was weeping. It wasn’t a dramatic gesture. Tears were running down his face while his glistening angel eyes continued to gaze at the woman. After some time, the woman began to weep in the same silent passive way. the weeping went on as if they could both see they must settle for losing something. Levin looked about and realised the atrium had quietly filled again and everyone was staring at the two people. Arky Levin’s life is unraveling. His wife has made him keep a devstating promise which means he may never see her again. A film score composer and musician, he finds himself unable to create music. he has cut himself off from his friends and even his daughter. when he wanders into MoMA, he finds himself watching an installation performance. Artist Marina Abramovic is sitting, for seventy five days, staring into the eyes of strangers. Arky finds himself drawn back to the gallery time and again and, gradually, he starts to piece ogether his life away from the gallery. The Museum of Modern Love is an absorbing, moving story of art, life and love. Multiple perspectives explore Arky’s viewpoint, as well as the stories of other observers and of the artist herself. Readers are invited to consider the significance of art and its connection to life itself. Inspired by the life and art of Marina Abramovic,the story is an interpretation both of the artist and of the impact of her work. Think you know how to write the alphabet? We’ll teach you how to DRAW it. Parents/teachers, if you grew up in the 1980s, you might remember the joy of lettering books, which helped to make school projects and assignments a tad more presentable, even if you weren’t artistic. The Super Lettering Book brings back that joy for a new generation. With themed alphabets including travel (Going Places), Educational (Cool for School), Food (Snack Time) and more, as wel as tips for using the alphabets as springboard to extra creativity, there is plenty here for the least artistic to trace/copy and the more creative to use as a springboard to their own ideas. There are also templates for common words such as ‘awesome’ and ‘selfie’. Lots of fun, The Super Lettering Book will appeal to primary aged kids. If you are expecting smiling princesses or Disneyfied beasts in this collection of images interpreting Grimms’ fairytales, then you are probably unfamiliar with the work of its creator Shaun Tan. But if you love Tan’s work, then you will adore this amazing offering. 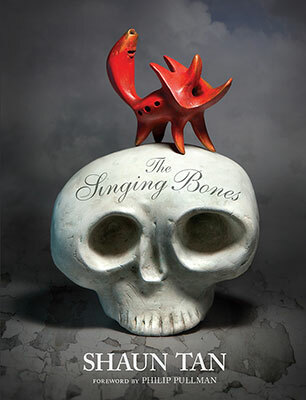 Tan created sculpture images to accompany a collection of Grimms’ fairy tales edited by Phillip Pullman, and The Singing Bones presents these images plus more, each accompanied by a short extract from the relevant fairytale. The sculptures, created with paper-mache and clay and coloured with acrylics, oxidised metal powder, wax and shoe-polish and could well be the relics from an archaeological dig, an effect Tan was hoping to create. Some are whimsical, others are frightening, but all are breathtaking. Readers who may be unfamiliar with the tales will probably be keen to go and find them for themselves, but in the meantime , a back-of-book index gives a precis of each tale. A wonderful collectors’ item suitable for all ages. as artists created their paintings. One day the gallery hung all its paintings. Their colours were like a rainbow on the wall. Lisa and her cat, Picasso, watch artists at work outside the Art Gallery every day. When finally the art is framed and hung in the gallery, Lisa takes Picasso to have a closer look. But Picasso vanishes. So begins an imaginary adventure. Lisa searches through the gallery experiencing the worlds of great artists. Though she cannot see him, Picasso is present in each opening. So too is a small tortoise. Lisa walks through the work of Rousseau and Monet, van Gogh and Seurat. And finally, Lisa finds Picasso, back at the café for another treat. And then it’s time to create her own art, inspired by what she’s experienced. Illustrations fill the spreads and threaten to spill out. 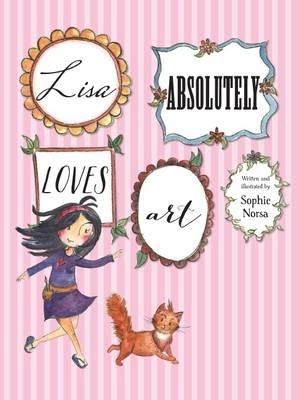 Lisa Absolutely Loves Art offers young readers and artists a closer look at famous paintings. Lisa immerses herself in each page, almost accidentally in her search for her cat. She experiences the paintings with all senses, being drenched in rain, joining dancers for rehearsal in a wooden-floored hall. 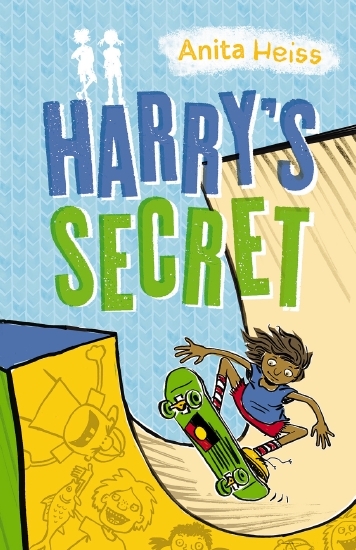 Even if young readers are not familiar with the paintings depicted (and there’s a list of them with images in the final pages) they will enjoy the romp through the pages. Teachers and parents may use this book as an introduction to art and artists, and young artists may be inspired to create their own masterpieces. Recommended for pre- and early-schoolers.